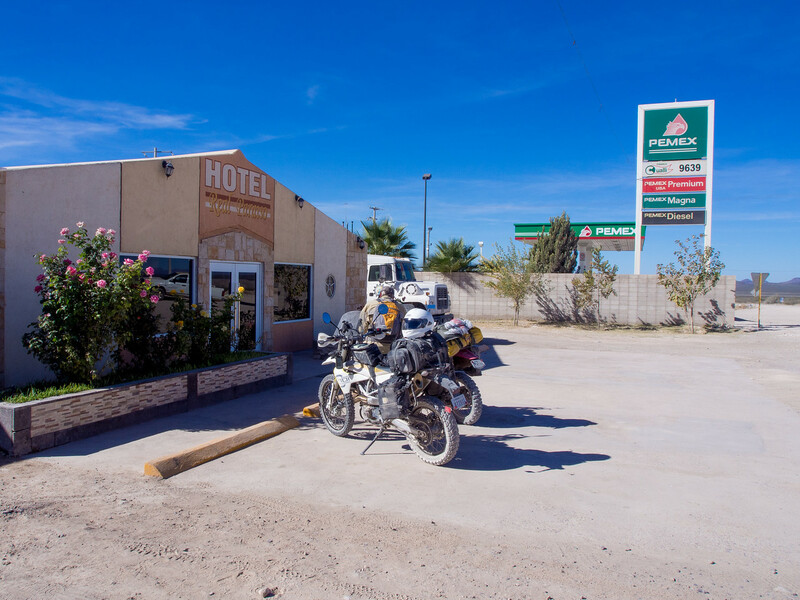 I really wanted to ride the road between Boquillas and Manuel Benevides but we couldn’t stomach backtracking on those two terrible roads from yesterday, so we came up with a new plan for the day. 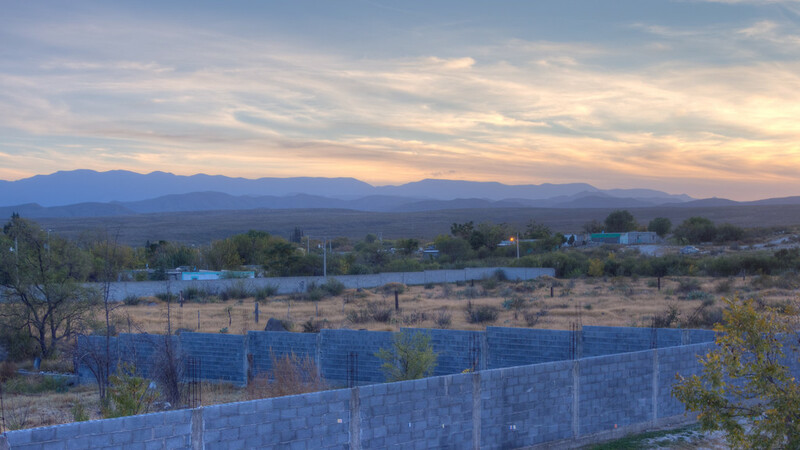 We would head due west from Ocampo, across the desert, and then turn northwest to the town of Hercules. 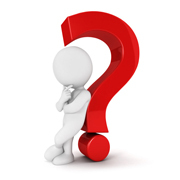 The map indicated it was a reasonably sized town and we hoped to find services there (fuel and food). From there we would continue west to pavement at La Perla. 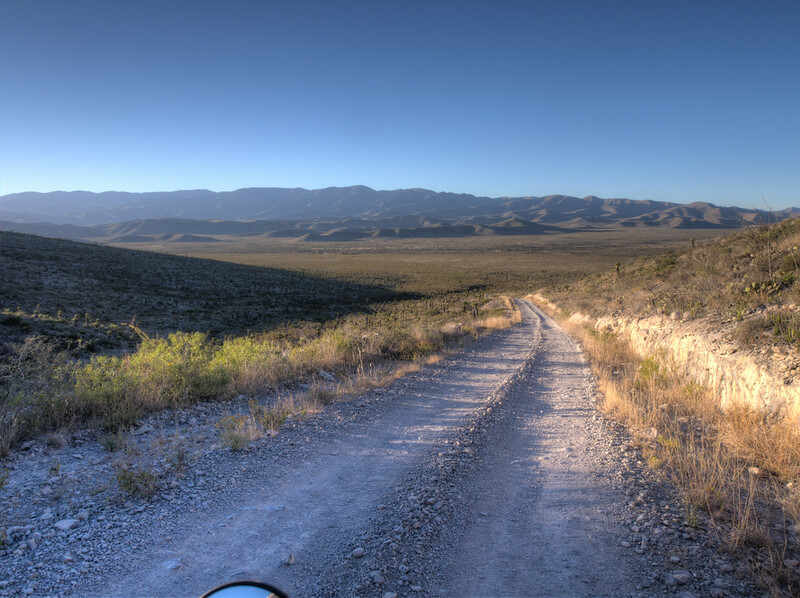 At that point, we would be done with dirt for this trip and would ride pavement all the way to Ojinaga and on to Terlingua. 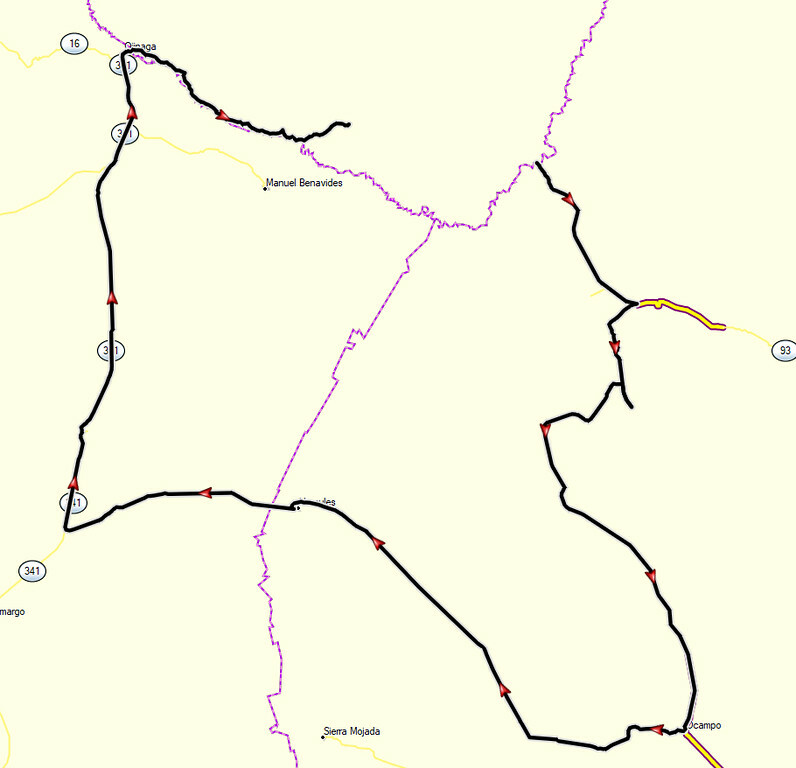 Here is our track for Tuesday (Boquillas to Ocampo) and Wednesday (Ocampo to Terlingua). The morning dawned cool but the forecast was for sun and daytime highs in the 60s. Since we already knew we wouldn’t be able to find breakfast we decided our best option was to hopefully locate a restaurant somewhere up ahead. Perhaps there would be a place to eat in Hercules. 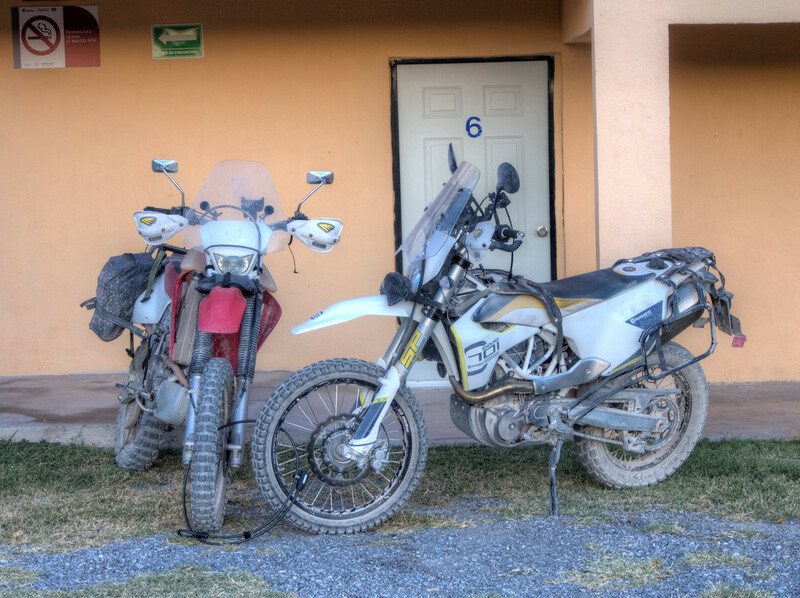 The bikes were waiting for us when we awoke. The morning view from our room was very nice. The air was very brisk but the road was in much better shape than the bad roads from the previous day. While the road wasn’t exceptional in any way, at least the views were better. 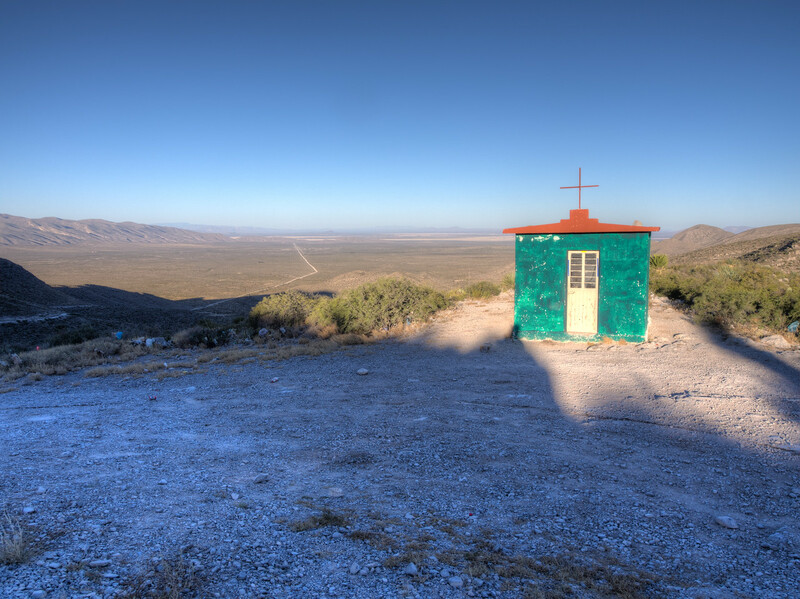 Roadside shrines like this are quite common in Mexico. See that really long, straight road in the background, heading across the desert? Well, that’s what all the dirt today from this point on consisted of. Long. Straight. Kind of boring. After riding in a straight line forever, we reached the right turn to Hercules. The sign pointing the way has seen better days. We made the right turn and then spent an eternity riding in another straight line. 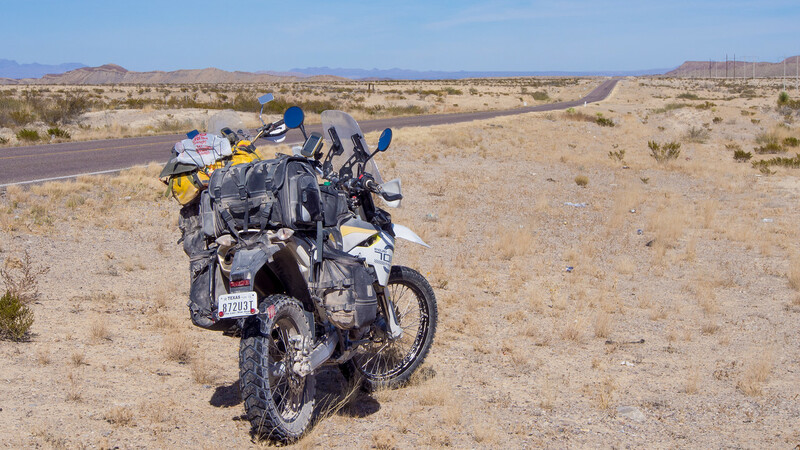 We spent so much time riding straight across the desert that when I encountered my first curve two hours later I nearly crashed because I had forgotten how to make my bike turn. We arrived in Hercules to discover it was now owned by a mining company and the town was completely fenced in and a pass was required for entry. Apparently the mining company bought the entire town and then fenced it in. Luckily there was a Pemex and a restaurant just outside the gate. Perfect! 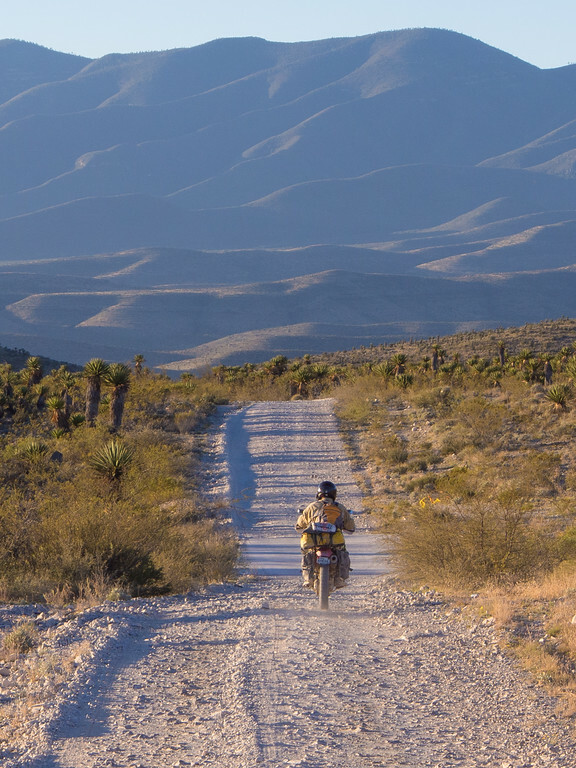 After a good, hot breakfast, we rode west on the last bit of dirt for the day. 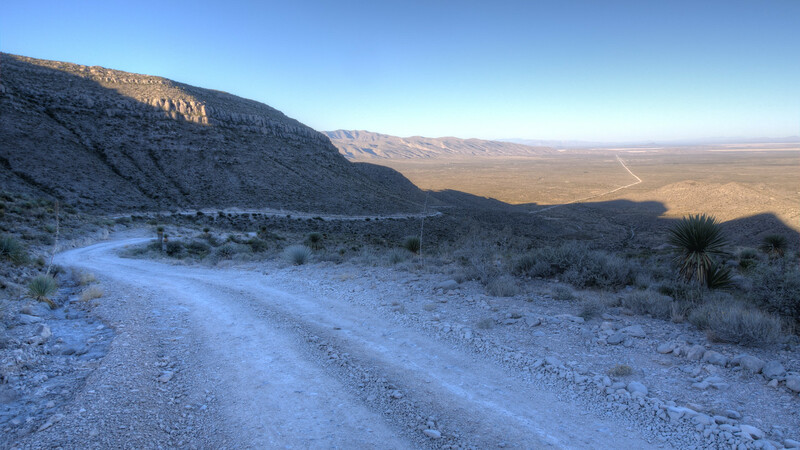 Then it was pavement all the way to the Texas border and Terlingua. There isn’t much else to report on the day’s ride. It was mostly boring and uneventful. It certainly isn’t a route I would recommend to others. But that’s the nature of exploring the unknown, it’s a bit of a crap shoot – sometimes you find some great stuff and sometimes you find some stuff you never need to ride again. 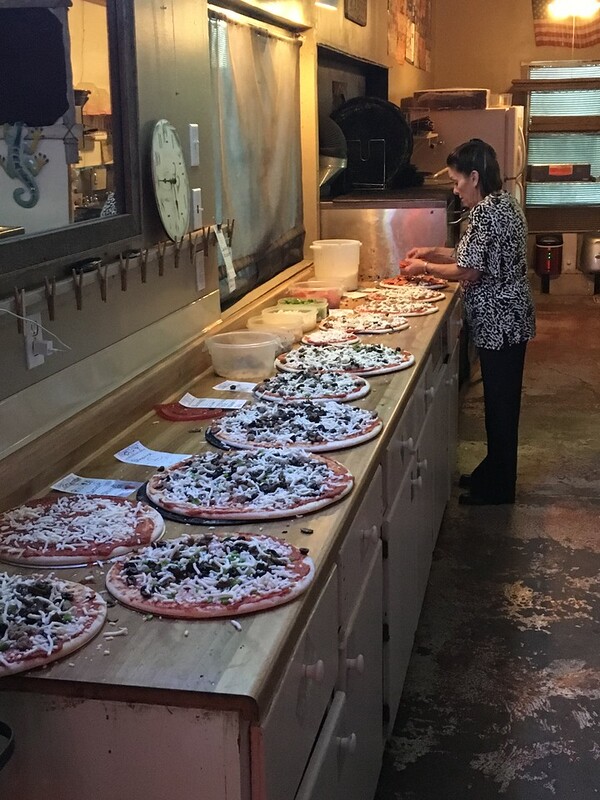 We arrived in Terlingua about 4 pm, giving me just enough time to get cleaned up and get to Long Draw Pizza five minutes before opening time. As usual, Nancy’s pizza was excellent. So the ride report of my tale ends with an unfulfilled mission. 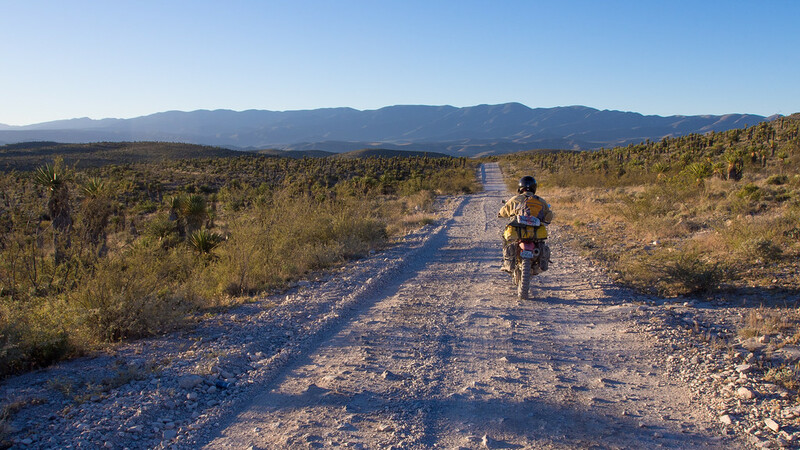 We set out to ride across Mexico from Del Rio to Ojinaga. 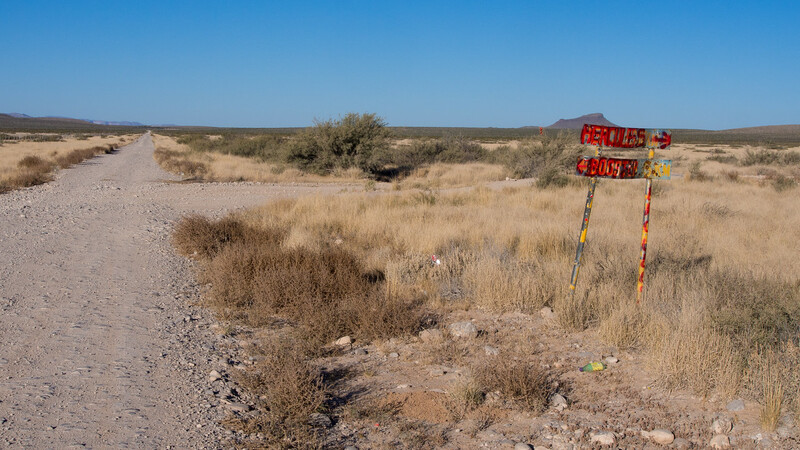 While we did indeed start in Del Rio and end in Ojinaga, we missed the road west from Boquillas. That road is still there, waiting.